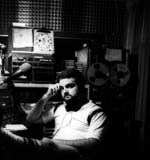 REELRADIO - The Marty Johnson Collection! Marty Johnson of Shreveport, LA, got his first radio job at age 16. It was 1976, and Marty pulled various shifts at KEPT, a religious FM station in Shreveport that is known as KVKI today. 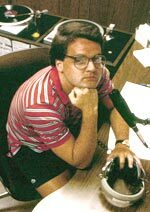 There were other stations, but one year later, he went to work at KEEL (710 AM), the area's dominant top 40 station. Marty did mostly night shifts, and was named Music Director before leaving in 1981 - for law school. Mr. Johnson attended law school at LSU, where he worked weekends at WFMF in Baton Rouge. WFMF was the area's dominant Top 40 FM and pulled 20 shares, book after book. In 1985, after law school, Mr. Johnson returned to Shreveport to start his law practice. He was back on the air between 1990 and 1992, doing a weekend shift at KVKI, (where he started at age 16.) When Marty's son Jared arrived in 1992, his wife Melanie asked him to stay around the house on weekends. Mr. Johnson is allowed to visit the Repository as often as he likes, and for that, we thank his family and his law firm. He's also been a big supporter of the Repository from the beginning, and for that (and his wonderful airchecks), we thank him. Thank you, Marty! This is a clip from a Programmers Digest record and showcases what a talent Dan Ingram has been from the start. He sounds just as good here as he did years later on WABC and most recently on WCBS in New York. Listen for what I call the "live reverb on demand" and lots of late 50's hits like "Numberrrrr... OOONNNEEE" Mack the Knife. The Johnny Cash concert promo at the start of the clip is priceless.
. . . from the WAKE boulevard of better balance . . . Frequent and liberal use of pushbutton time-tone, reverb and filter effects dominate this short aircheck of Johnny Dark on Atlanta's legendary WAKE in 1961. We're not sure if Hitparader Bill Drake was on board at the time, but we do know this classic aircheck was featured on Programmer's Digest in May of 1974. This is a real gem. Tom Kenny, former KEEL night guy who grew up in New Jersey in the 70's, used to tape New York stations off the air from his home. This tape, complete with blank spots where he hit the "pause" button, was recorded off the air on Good Friday, 1974. I decided not to edit Tom's tape in any way because it's a true snapshot of NYC morning radio in the early 70's. You can hear some RF whistle on the WABC clip, along with audio processing that made the opening drum licks of Honky Tonk Women sound like cannon shots!
. . . Just hours after you receive your book, Hittin' them Hot Licks with Him, you'll mystify your friends with musical versions of Just a Closer Walk with Thee, Bless This House, the Theme from Tonight Show, The Old Rugged Cross . . . Here's another aircheck of Don Imus and Robert W. Morgan on WNBC, 1973. Imus leads with a hilarious Billy Sol Hargis bit, and Morgan blasts NBC management, complains about Wolfman Jack, Morganizes a woman from Long Island who didn't change her name, and steals all the studio microphones before the end of the show. . . .This is . . . Grandmother Emma . . . just filthy rich . . .
General Manager and Morning Man Ken Dowe (with "Granny") were on "K-NOOS" when the KLIF-KVIL-KNUS battle was heating up in 1974. KNUS eventually took a more Adult Contemporary approach in response to KVIL's astounding success which began in the late 70's. This clip, a promotional presentation, features Dowe along with Mitch Craig, Don Bishop, Jake Roberts, Eric Edwards, Shaun Holley, and Fred Kennedy, all in a very high-energy presentation. Yelling and screaming was mandatory! They pulled out the old jingles. They interviewed Merv Griffin who got his start there. Introduced as "KFRC Collectors Composite #1", this is one of the best KFRC clips around. It demonstrates how well KFRC promoted itself in the 70's. Featured are Dr. Don Rose in mornings, with Jack Hines, news, John Mac Flannigan, Bobby Ocean, Chuck Buell, Marvelous Mark, Ed O'Brien and Shana. Salty Brine retired in 1993 and hosted WPRO's morning show since 1943. He passed away on November 2, 2004. This composite is apparently from a commercial aircheck service or was produced as a sales or promotional piece for the station. It features the grand old man of Providence Top-40 radio, Salty Brine (1918-2004), who offers an on-air prayer for the thief of a boat stolen from a local charity. Jimmy Gray, Holland Cook, and Ed Cherubino are also featured. "Do you have a request, Mr. President?" "Yes, I'd like to hear Free Bird."
. . . I understand everything about that song except the alligator lizards in the air . . .
Top 40 veteran Mike Phillips was programming KGW, Portland in 1979. This composite features Dave Hood, John Williams, Jim Donovan, Dave Allen, Glynn Shannon and a morning guy whose identification we will leave to COMMENT (below). This station-prepared demo boasts excellent fidelity.
. . . the world turns on its axle . . . I recorded this at home in Shreveport, LA. on my Teac on a summer morning in 1980 when the FM skip was a'hoppin'. This aircheck includes a Ray Walker/Bob Morrison newscast. These guys put together the best radio newscasts I have ever heard, bar none. Big Voices, Network Sound.
. . . Coming to you live from high atop the downtown Zesty Foods . . . Here's John Landecker on his first day at CFTR, Toronto, in 1981. He went back to Chicago shortly after. [from Ricky:] Mike Joseph was the consultant behind this attempted modern-day replication of 60's style Top-40. Joseph preceded Sklar at WABC in the 60's. In the early 1980s, CBS launched a new format on some of its owned and operated FM stations. In many respects, the format was reminiscent of 60s style Top 40 radio. B-96 (WBBM-FM) debuted in Chicago in 1983. Like other stations in the CBS FM group, B-96 featured format elements many contemporary radio programmers and consultants had dismissed as "clutter", such as high energy personalities, jingles between every record, talkover weather jingles, phone bits, contests, and lots of reverb. I think the CBS FM approach was successful because it was an entertaining departure from the "less talk" stations of the day. Most of the 1984 B-96 staff appears on this composite, including Don Geronimo in mornings with Mike Elston (news), Scott (Letourneau) O'Brian in middays, Gary Spears in afternoons, and Dave Robbins and Mark Windsor, nights. Check out Dave Robbins' talkup of Van Halen's "Panama" at the start of the clip. Can you talk that fast? I got this clip in 1984 from my friend Scott Letourneau with whom I worked in the late 70s at KEEL in Shreveport. Scott simply pulled the tape from the station's cassette skimmer one day and edited it down to the presentation here. There are plenty of B-96 airchecks floating around but you won't find this one from the early days anywhere else. The Marty Johnson Collection has been a part of REELRADIO since March 10, 1996!